In the past few weeks, both Russia and the United States have escalated their military campaigns against the Islamic State. As the brutal jihadist group continues to wreak havoc in Syria and Iraq, Foreign Policyasked author of Heretic: Why Islam Needs a Reformation Now, and United States Institute of Peace acting Vice President Manal Omar, one of the foremost voices on peace and Islam, to debate what is behind this newest breed of extremism and how can it be defeated. In the age of al Qaeda, the Islamic State, and Boko Haram, is there a link between the violence these groups perpetrate and the faith they profess? Together with a number of research assistants, the Danish linguist Tina Magaard spent three years examining the texts of the 10 largest religions. 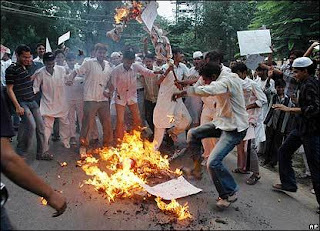 The purpose was to investigate whether any of the religions incite violence. The verses are in black and white and without mitigating context. One of the verses that deal with non-Muslims is: “So when you meet those who disbelieve, strike their necks until you have inflicted slaughter upon them.” (Qur’an, 47: 4). Islam is not only the world’s most violent religion in writing. A huge study, based on in-depth interviews with 45,000 subjects confirms that it is also the world’s most violent religion in practice. Alliance leaders are already debating what that response should be. Hollande has spoken to President Obama. Other NATO countries, including Germany and Canada, have expressed solidarity. Indignation and outrage, while justified, are not enough. Hollande left no doubt that that the attacks were “prepared, organized and planned from abroad, with complicity from the inside.” ISIS, or one of its affiliates, has also claimed responsibility for the recent downing of a Russian passenger jet, with the loss of 224 lives. The United States and Britain believe these claims are credible. It was wrong to dismiss ISIS as a regional threat. Its threat is global. Enough is enough. A certain quality of evil cannot be allowed physical terrain on which to breed. Pope Francis declared the Paris attacks “not human.” In a sense he is right. But history teaches that human beings are capable of fathomless evil. Unmet, it grows. To defeat ISIS in Syria and Iraq will require NATO forces on the ground. After the protracted and inconclusive Western interventions in Iraq and Afghanistan, it is reasonable to ask if this would not be folly. It is also reasonable to demand – and many will – whether military action will only have the effect of winning more recruits for ISIS as more lives and treasure are squandered. Terrorism, the old nostrum has it, can never be completely defeated. Such arguments are seductive but must be resisted. An air war against ISIS will not get the job done; the Paris attacks occurred well into an unpersuasive bombing campaign. Major powers, including Russia and China, have vigorously condemned the Paris attacks. They should not stand in the way of a United Nations resolution authorizing military action to defeat and eliminate ISIS in Syria and Iraq. Regional powers, especially Saudi Arabia, have an interest in defeating the monster they helped create whose imagined Caliphate would destroy them. SIS is slick and effective. It has a well-run propaganda machine and an ideology compelling to disaffected Muslim youth persuaded of Western perfidy. The combination of medievalist literalism and technological prowess has produced a fanatical army of borderless appeal. But ISIS is far from insuperable in military terms. Western intelligence is now elaborate. The almost certain killing in an air strike Thursday of Mohammed Emwazi (known as Jihadi John), the Islamic State’s most wanted executioner, demonstrated this. It is not enough to say, as the Obama Administration has up to now, that ISIS will be defeated. These words lack meaning without a corresponding plan. There is time pressure because time is being used precisely to plan new atrocities. With each one, the possibility of a spiral of religious and sectarian violence in strained European societies increases. Hatred of Muslims seems to be on the rise. 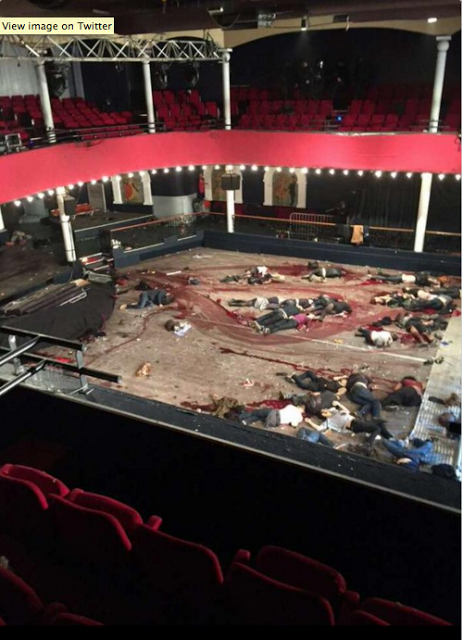 The Bataclan, the club targeted in the Paris attacks, has, as the French magazine Le Point pointed out, been a frequent meeting-place for Jewish organizations. The killings occurred as hundreds of thousands of desperate Muslim refugees from Syria are streaming into Europe. This is not the time to turn on them, but to help them, even if extreme vigilance is needed. They, too, in their vast majority, are fleeing ISIS, as well as the indiscriminate violence of President Bashar al-Assad. Nonintervention in Syria has proved a policy fraught with bloodshed and danger, now seeping into Europe. The battle will be long. Islam is in a state of fervid crisis, riven by the regional battle of Sunni and Shia interests (read Saudi Arabia and Iran), afflicted by a metastasizing ideology of anti-Western hatred and Wahhabi fundamentalism, seeking a reasonable accommodation with modernity. The scourge within it can probably only be defeated from within, by the hundreds of millions of Muslims who are people of peace and are as appalled as any sentient being at the Paris slaughter. Their voices need to be raised in unambiguous and sustained unison. 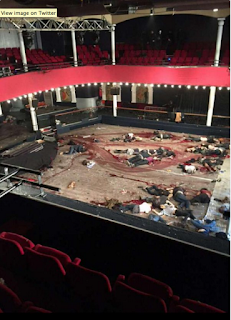 Bataclan Theater in Paris, the concert hall where most of the bloodshed was seen on Saturday as 82 out of a total of more than 128 people were murdered in six coordinated attacks claimed by Islamic State (ISIS), was owned by Jews. In the attack, four terrorists armed with assault rifles shouting "Allahu akbar" (Allah is greater) stormed in during a concert by the US rock group Eagles of Death Metal. They executed hostages one by one. Three of them blew up their explosive belts in suicide attacks as anti-terror police ended the siege at 12:30 a.m. local time, while a fourth was shot by police. Next to one of the attackers, a Syrian passport of a man who entered Europe via Greece as a "refugee" was found. The French magazine Le Point reported on Saturday that a member of the radical group Army of Islam told French security services back in 2011 that "we had planned an attack against the Bataclan because its owners are Jewish." Bataclan Theater was also targeted back in 2004 when the Israeli hip-hop duo of Subliminal and Hatzel performed there, despite threats by Islamists that nearly closed the performance. In a 2006 repeat, the venue gave in to the pressure and canceled the show in advance, forcing the Zionist rap stars to perform elsewhere. The Anti-Defamation League (ADL) on Saturday expressed its outrage at the attack while noting on the Jewish connection of the concert hall. "We join with the international community in loudly condemning these barbaric and heinous terror attacks, which have claimed the lives of hundreds of innocent people going about their lives," said Jonathan A. Greenblatt, ADL CEO. "Words cannot express our shock at these despicable attacks in Paris. This was an outrageous, cowardly and premeditated assault not just on the people of France, but on all freedom loving people around the world." "While the investigation continues and the terrorists’ motivations are still unclear, we are deeply concerned at reports that the Bataclan Theater has long been a locus of anti-Zionist groups. We hope the French authorities will investigate the possibility that virulent anti-Semitism was a motive in the attack," added Greenblatt. "Having been in Paris earlier this month, I can attest to the resolve and strength of the people of that great city, and know that they will emerge from this tragedy stronger and more united. We stand in solidarity with the French people during this terrible time, and support the efforts of the French government to locate and apprehend those behind the attacks and bring safety and security to all of France. "Earlier this year, Paris endured the brutality of the attack on Charlie Hebdo, an assault on free expression. We also saw the violent killing committed at Hyper Cacher, a heinous act of anti-Semitism directed squarely against the Jewish community, one of a series of murderous acts in recent years intended to terrorize French Jews. As happened after these incidents, we know that the City of Light will rise again from the darkness and prevail over those who would seek to use terror as a blunt instrument against freedom and democracy. In the aftermath of this attack we must all rise up and say, 'JeSuisFrancais!'"